To celebrate my amazing new Shakuhachi python hi-tops, I thought sequins and fringe were in order! 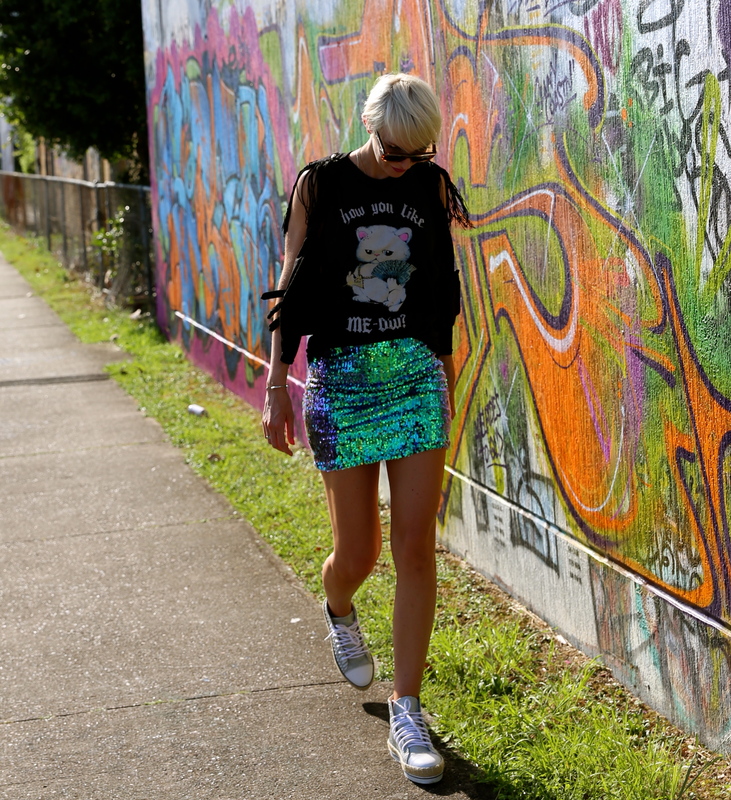 So with fluro pink nails & my mermaid bling on, off I went to a random back ally to take photos. I did however get some funny looks… Damn Sunshine Coast!! So restrained with their fashion! Come on people, step out of your comfort zone!! BTW- How ridiculously amazing is the new UNIF range to hit Australia?!!!! !